Is the Wallet Card the Credit Card of the Future? If you haven’t heard of the Wallet Card yet, chances are you will soon. Unveiled in early 2018 by Dynamics and Visa, the Dynamics Wallet Card™ has been generating an impressive amount of buzz. It’s been written up in numerous articles and has won several awards. One of those was the 2018 Best of Innovation Award at the Consumer Electronics Show in Las Vegas, widely considered the consumer electronics industry’s most prestigious award. It’s the first time a payments consortium has won it. That’s a lot of exposure and expectation for any new product or technology. All too often, products that are subject to that much hype wither away into obscurity under the glare of that much scrutiny and anticipation. So what is the Wallet Card and will it be the “next big thing” in consumer finance? The Wallet Card has the capacity to be all of your payment cards: debit, credit, pre-paid and one-time use, even branded loyalty and gift cards, all in one. A digital display and two-button interface allows users to toggle between accounts and cards instantly. So how will this impact international payment processing? Only time will tell. But with partnerships with leading banks and communications corporations all over the globe, the Wallet Card is being billed as a virtually universally-accepted form of payment. The Wallet Card is linked to the internet of things with both a cell phone chip and antenna, which is said to allow it to communicate with and transfer money between the user and their bank anywhere on the planet, at any time. That connectivity also means the instant issuance (and registration) of new cards. For instance, after the deletion of a compromised card number, one could expect near-immediate reissuance of an uncompromised card. Robust security and instant reissuance could certainly prove a selling point, as almost 50% of cardholders in the U.S. have to have at least one card reissued every year. And conveniently, all of that tech is powered by a self-charging battery, which means no loss of payment method at inconvenient times or daily charging. Is It Going to Replace Plastic as We Know It? Perhaps unsurprisingly, there’s considerable disagreement on the answer to this question from those predicting the future of commerce and finance. One camp, those skeptical of the Wallet Card’s future status as the revolutionary smart card, has pointed out that mobile digital wallet platforms already exist. There is any number of digital wallets available as apps or built-in features of smartphones that can do most everything the Wallet Card does, and they’ve been around for a while. Wallet Card proponents counter that existing digital wallets don’t enjoy anything like universal acceptance from vendors, particularly since so many of them rely on near-field communication (NFC) to transmit payment info. Additionally, the Visa-branding and support from global financial heavyweights should guarantee the quality, consistency, security, and acceptance of the Wallet Card. Even those who doubt that the Wallet Card is going to become the end-all, be-all of mobile payment solutions admit, however, that at the very least it will have niche appeal. People will appreciate that it doesn’t need to be accessed or managed through an app, and doesn’t have to be charged. 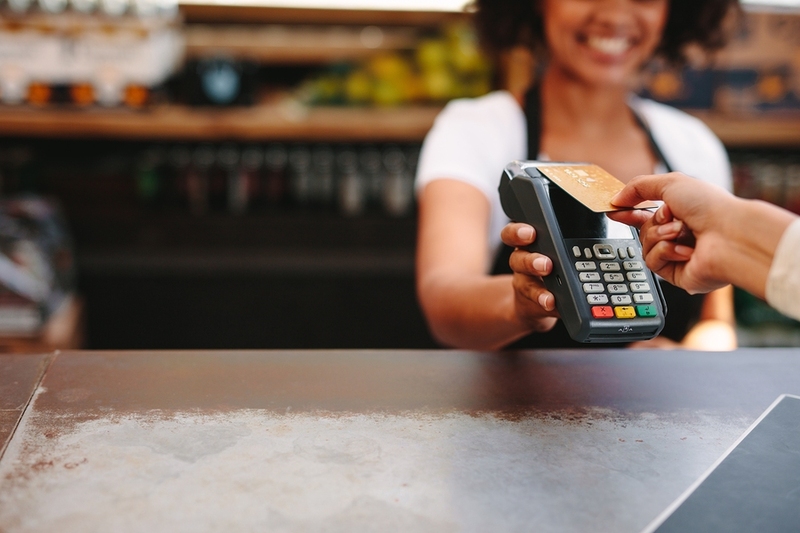 Regardless of if the Wallet Card takes off or fizzles out, it’s important to work with a global payment processing provider you can trust for everything from healthcare payment processing to international payment processing. Payscout is an international payment processing solution provider who can help entrepreneurs and domestic U.S. merchants navigate complex compliance solutions. Beyond processing payments on six continents, Payscout offers a wide array of financial solutions, including their mobile web portal, Condor, which facilitates bill-payment transactions.